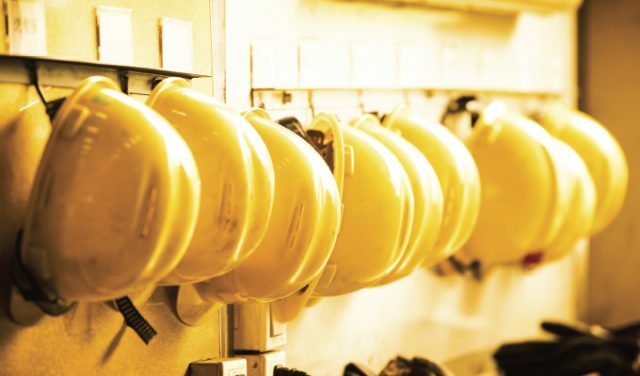 As a result, a potentially explosive growth opportunity in the construction sector is thwarted as owners and contractors confront the fact that they may not be able to consistently field a reliable roster of workers. Even homeowners struggle to find skilled workers for home repairs. The result? Construction projects take longer and are more expensive as general contractors are stuck waiting for labor to become available and then pay a premium to keep it on-site. Ideas about how to correct the trend abound, including paying recruiting bonuses or offering non-cash incentives to workers. But these costly measures do little more than guarantee that only contractors with means can secure quality labor. The underlying problem persists. Below is a summary of the cause of today’s skilled worker shortage and the call for a more unified, sustainable way to strengthen the ranks of a workforce badly in need of reinforcement. The Korte Company has faced the same struggles the rest of the industry has. Every project we take on requires the added effort of securing enough skilled workers for the duration of the job. The problem exists everywhere, but it’s especially pronounced in parts of the western and southern U.S. (in states like Nevada, Arizona, Texas, and Florida) where populations are skyrocketing and new construction is booming. We can see the writing on every wall we put up: The underlying driver of today’s skilled labor shortage has not been adequately addressed, so the gap between available workers and construction demand is sure to widen. It’s going to get worse before it gets better. The problem is the systematic de-emphasis of vocational education in America’s schools. It started in the 1950s, when attitudes in the U.S. shifted from channeling students into the trades or academia based on their talents to simply favoring college prep at the expense of home economics or shop classes. That led to a perception that vocational education was reserved for “second-string” students who couldn’t cut it in more rigorous academic settings. It took about a generation to recognize the folly of that mentality: This Los Angeles Times article warned of the possible fate of high school shop classes in 1986. And yet, school systems still devalue vocational education as a matter of policy. When educators and lawmakers realized that American students weren’t keeping up with their international peers, they rushed to implement reforms designed to better measure outcomes and identify shortcomings. In the age of sweeping federal laws like No Child Left Behind and the Common Core State Standards, it’s much easier to assess educational outcomes—and distribute sorely needed funding—based on standardized test scores than it is on woodworking projects. The bottom line is that, over the last several decades, students watched as schools eliminated industrial art classes while teachers and parents insisted that 4-year college degrees cut the best path to a fulfilling, financially rewarding career. That’s one way to make a good living, but it’s not the only way. And, it’s far from guaranteed. The year 1992 began a period of steady growth in the construction labor sector, according to data from the U.S. Bureau of Labor Statistics (BLS). The tally of construction workers rose from a little less than 4.6 million employees in June of that year to over 6.8 million by April 2001. Those totals then stagnated somewhat until healthy growth resumed in 2003. We all know what happened next: The ensuing building boom, which employed over 7.7 million workers at its peak in 2006, went bust at the onset of the Great Recession. January 2011 was the weakest month for the construction workforce with just over 5.4 million workers on payrolls across the country. That workforce has slowly clawed its way back upward to around 7.2 million workers, according to preliminary BLS data. For context, the construction workforce today is about as strong as it was in the spring of 2005. The problem is that construction demand is much stronger now than it was 13 years ago. Despite the boom, the workforce hasn’t matched its high-water mark from the last decade. Combine that with an education system that no longer reliably funnels young workers into these good-paying jobs and the result is the severe shortage we see today. That’s why programs that develop the foundational skills students need for careers in the trades are so important. After all, it’s in our own future interest (as well as that of our customers and the subcontractors who work with us) to rebuild the modern construction workforce. If we don’t, project costs will continue to soar and timelines will drag on. In an educational climate that’s largely neglected vocational studies, North Tech High School, a Career and Technical Education (CTE) institution in Florissant, Missouri, bucks the trend. North Tech partners with 13 public high schools in north St. Louis County, as well as with private schools and home-school providers to offer tuition-free education in 25 fields, including construction innovation, construction trades, electrical trades, HVAC, and other related fields. North Tech teaches the trades through hands-on work in a shop setting. But we think getting students on a real working jobsite is a great way to help them see how the concepts they learn are applied on real projects. That’s why we invited a group of construction students to Alton, Illinois, to tour the site of what will become Medical Office Building B at Alton Memorial Hospital. It gave students the big-picture view of how individual parts of a project fit together to become a working facility. We’re proud of our support of construction students at North Tech. But we know that jobsite tours alone won’t solve the problems plaguing the industry. Everyone—ourselves included—needs to do more. Perhaps the best way to begin solving the problem would be for schools, businesses, and governments to team up to adopt German-style dual training programs. The system is renowned worldwide for making sure there’s a consistent supply of highly trained workers to fill open positions in today’s modern economy. We urge educational, business, and government stakeholders to recommit to providing quality vocational education for today’s students. And, we’re not speaking purely out of self-interest here. Sure, we’d love to not worry about having enough skilled workers on future projects. But if these crucial resources go away, two other bad things happen: Whole generations of otherwise talented young people might miss out on a career they’ll be proud of, and an economy otherwise poised for explosive growth may instead languish. And, it’s not like no one knows what to do about it. Jason Weiss is the director of project management and a project executive for The Korte Company. He works closely with customers, designers, subcontractors and construction staff to ensure needs, goals and standards are met on every project. For more information, visit www.korteco.com.